we will eat from one dish, one share! The Wirikuta Valley is located in the northern state of San Luis Potosi, north of Mexico. It is a sacred territory for the Huichol Indian culture not only for its long history and stay there, but also for its active way of manifesting their religion through a particular shamanistic Huichol religiosity, which at the same time, is immersed in a dynamic syncretism with the popular Catholic religiosity. The Huichol tribe is best known for its traditional medicinal practices that involve the use of the peyote (Mexican endemic hallucinogenic cactus). In this desert and magical land are held interesting Indian rituals such as the deer dance and the constant exchange of gifts for the peyote (the grandfather); however, the increasing and constant presence of globalization has deeply marked the Huichol population, triggering conflict situations due to foreign predation in the region, such as the Canadian case because of the mines. The XXI Century and its dynamics of international globalization have penetrated the sacred Valley of Wirikuta, playing a negative role for the Huichol population due to its invasion in a sacred and ancestral territory and the subsequent displacement of the Huichol people. Long-term studies on the world of the Tarahumara (NW Mexico / Chihuahua) display the conflicting priorities of the local ejido organization, mestizo environment and nation state and the role shamans play in this socio-political setting. The socio-historic background of the inter-ethnic problems in the Mexican-US border region reaches back to the traumatic impact of the conquista and the consequences deriving from colonization and missionary. During these periods of forced change and transformation it was the Tarahumara shamans who developed certain strategies of resistance in order to maintain the survival of their ethnic group in everyday relations with their conquerors. Over centuries they have adopted the ethic codes and values of their group which emphasize the concept of non-violence and withdrawal. Their belief in non-violence has been raised to the status of a social norm as against the ideology of violence (machismo, narcocultura), which is represented and practised by mestizo culture. The Tarahumara shamans themselves have to live up to certain moral standards, which qualify them as socio-political leaders and enables them to be accepted by their people. 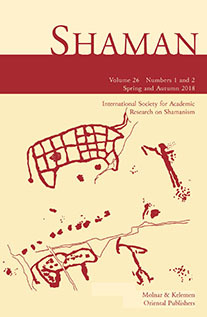 The way in which the Tarahumara present themselves today as an ethnic group is the result of a complex interplay between the power of their shamans, a critical in-group consensus policy of the Tarahumara people and forms of adaptation and resistance as an inter-ethnic deal with the dominant white majority, refined over centuries, to avoid being absorbed by their hegemony. The spread of Muslim Fundamentalism in Central Asia is a well-known fact. Many aspects of this have been studied in Western scholarship: its political and security consequences, its conflicts with the secular states, and its influence on the post-Soviet society. In this chapter I would like to talk about a less known phenomenon. That is the post-Soviet Islamization and its conflicts with traditional (popular) Muslim practices. Post-Soviet Islamization attacks practices, traditions that are common among the societies of rural areas and village (aul) communities. The traditional practices and ideas had not really changed during the seventy-year rule of the Communists (1920-1991), but twenty years after the end of Soviet anti-religious ideology, fundamentalist movements that define themselves as â€˜official Islamâ€™ once again attack these traditions, although â€˜popularâ€™ Islam has a legacy of 1000 years in Central Asia. If we want to sum it up, we can say that traditional and popular religious practices were based on Sufi traditions that partly originate from Central Asia. Some pre-Islamic Turkic and Iranian elements were also incorporated in them. Rural communities consider these traditions an integral part of their Muslim identity (musulmanÄylyk). During the Soviet times these traditions were persecuted alongside other religious activities. Soviet ethnography wanted to prove that these ethnic traditions were the remnants of pre-Islamic â€œshamanismâ€ in Muslim disguise, ignoring the 1000-year of its history in Central Asia. The ethnic approach to the problem of popular Islam is also wrong because their traditions were more or less common to all the ethnic groups of Central Asia regardless of being nomad or sedentary, linguistically Iranian or Turkic. In the post-Soviet era fundamentalist Islam gained influence among the Muslim leaders of Central Asia. They rejected local (popular) Muslim traditions, Sufism and turned against these popular religious movements. So these traditions are under greater threat than during the Soviet times when they were practiced secretly due to external pressure. There is also pressure inside the circles of these traditions. Among some specialists religious identity is being replaced by ethnic identity. At the same time urban esoteric healers and ethnically motivated â€œneo-paganâ€ movements are also incorporating its elements to their practices making the situation even more complicated.